The Spidertrax Blog » Thinking of Cradon; race recap from Derek West. Home > TORC, Ultra4	> Thinking of Cradon; race recap from Derek West. Thinking of Cradon; race recap from Derek West. It would come of no surprise to us that one of the most epic short course races, of a lifetime, is still fresh on our minds. 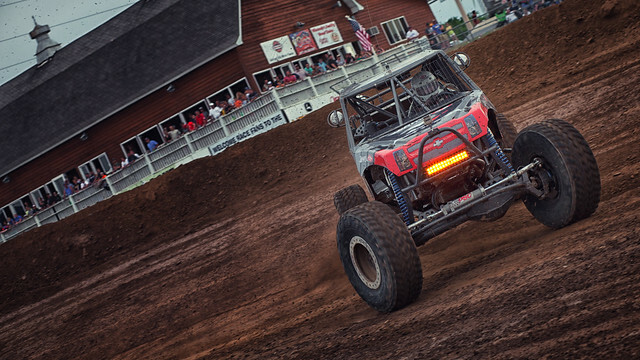 A few weeks back, we headed out to Crandon International Off-Road raceway for TORC’s Rounds 5 & 6. This would have been a normal event for Brad Lovell, TORC Pro Light driver, but as it happened Ultra4 racers were invited out to race alongside the short course pros. As expected, an epic race followed. Two days ago, we received an email from Derek West, recapping the race from his, and his teams, perspective. It was a good race weekend for Derek, who grabbed a 2nd place position on the first day of racing. So, without further delay, here’s a copy of his Crandon race recap, reposted with permission. (June 16 & 17, 2012) This was the first time the Ultra 4 racers would get a chance to race at the Brush Run event held by the Torc Traxxas Off Road Championship Series by Amsoil. The Ultra 4 racers for the first time raced side by side in Crandon, WI. The 2 day event got 2 days of rain which soaked the track making it the mud run. At 5:00pm on Saturday the main event went great with Derek taking 2nd place on the podium! “Our Nitto Tires did awesome and hooked up great. The hardest part was trying to keep my visor clean from all the mud getting thrown up by the other competitors.” On the second day the stakes were a little different as the track was dry. Derek was learning how to do 4 wheel drifts and making his way towards the front, with half a lap to go and Derek in second place the Transmission gave in and Derek was out of that race. In all this was an awesome experience. Ultra 4 put on a great event and we are looking forward to the next race.” said Derek. I have to thank all of my sponsors for their support & great products. Nitto Tires, Jimmy’s 4×4, Spidertrax, ATX, Slime, Radflo, Off Road Solutions, PSC, FK rod ends, Advanced Metal Fabricators, Yukon Gear, Branik Motorsports, Johns 4×4, Northstar, Alltech Motorsports, Custom Splice, TK Racing, Seeyouonthetrail productions, Warn, Ouverson Engineering, Sho-Me-Speed, & Rigid Industriess. Thanks to my pit crew, Travis Cook, Travis Brake, Wes Choate, my wife Ashley & daughter London for all their support. I couldn’t do it without all of your help!! Derek’s next event will be on July 14 & 15th at the Ultra 4 Qualifier held at the Badlands in Indiana.